Apr. 2, 2019 10:15 p.m.
Alberta’s health-care system is a hot topic for some Red Deer voters heading into April 16’s provincial election. That was made clear during a packed All Candidates Forum, hosted by the Golden Circle Senior Resource Centre Tuesday night. Red Deer North NDP incumbent Kim Schreiner said if re-elected, her party will expand the Red Deer Regional Hospital, adding at least 98 new beds, 18 emergency stretchers and a cardiac catheterization lab. “We will make sure that there are nurses and doctors staffing the hospital and taking care of our loved ones. I don’t think that all parties represented here this evening can say the same thing when their leader is talking about massive tax cuts that will put a hole in our budget,” she said. “Alberta’s debt has increased by more than $45 billion in only four years. That is not balance and our children and your grandchildren will have to pay for that,” he said. Adriana LaGrange, Red Deer North UCP candidate, said the province’s health care system can’t improve unless Alberta’s economy improves. 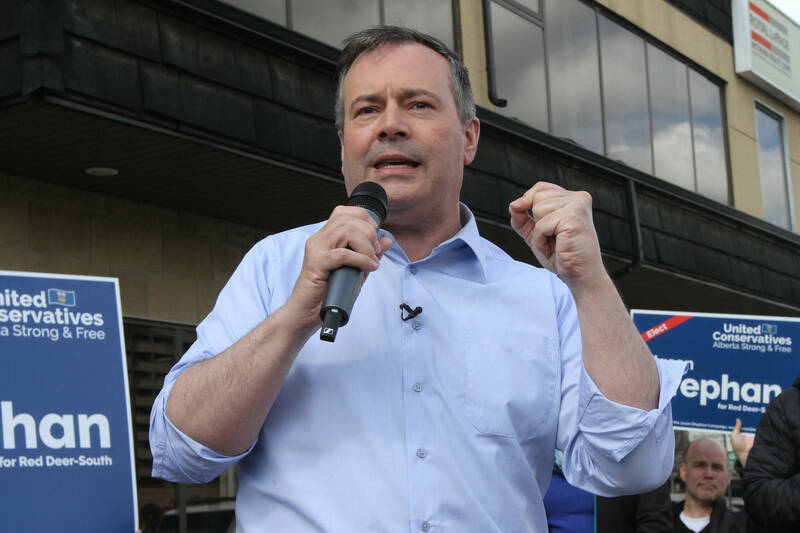 “We can do all sorts of things, but until we get … the prosperity back to Alberta, things are going to deteriorate even further than they are right now,” said LaGrange, adding the UCP is committed to maintaining the same level of spending for public health care. “Rachel Notley has already made it clear that health care will be a top priority if given a second mandate, with a plan to invest in strengthening our public health system that will improve emergency care, cut wait times and get EMS crews back into the community faster,” said Miller. Teah-Jay Cartwright, Freedom Conservative Party candidate for Red Deer South, said Alberta has the most funded health-care system in Canada, but is rated the seventh-best. “We want … to try to implement things that are going to encourage people to live a healthier lifestyle so they shouldn’t need health care as much or as often. As we know, the older you get, the more naturally you’re going to use health care,” said Cartwright. “Unfortunately political decisions were sometimes made to build hospitals in places where politicians were under threat,” Hardy said. “We’ll be significantly investing in home and community-based services to allow for our aging population to remain at home longer and reduce risk of injury,” added Ryan McDougall, Alberta Party candidate for Red Deer South. Lori Curran, Green Party candidate for Red Deer South, said the long-term solution for improving health care is educating people about wellness and disease prevention. “The great majority of health problems are usually influenced by environmental factors, causing inflammation in the body,” Curran said, adding environmental factors include less than optimal food, water and quality. Freedom Conservative Party North candidate Matt Chapin said there isn’t a strong enough voice from local politicians at the federal, provincial and municipal level. “We need to, as a community, come together with one voice and … fight to be heard,” said Chapin. Other topics during the forum included how parties plan to raise revenue to cover proposed expenditure and solutions for homelessness and crime in Red Deer. The Red Deer and District Chamber of Commerce will host an election forum from 6 to 8 p.m. April 11 at Westerner Park’s Harvest Centre.